Whole Foods is about to get cheaper starting on Monday, August 28. Amazon's $13.7 billion acquisition of the grocer will go through on Monday. Once it does, the companies are planning sea changes, including special discounts for Prime members, and cheaper food for everyone. "To get started, we’re going to lower prices beginning Monday on a selection of best-selling grocery staples, including Whole Trade organic bananas, responsibly-farmed salmon, organic large brown eggs, animal-welfare-rated 85% lean ground beef, and more," the companies said in a release. Whole Foods' private label 365 products will also be available on Amazon. 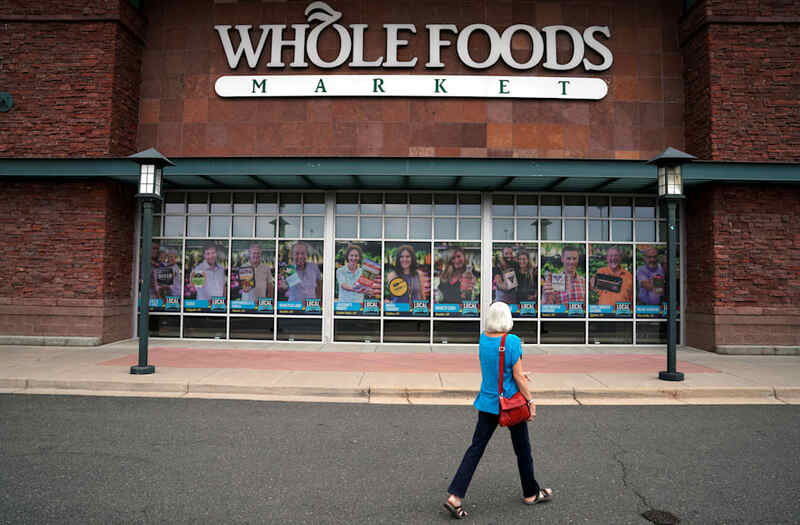 Whole Foods offering discounted prices on groceries will help repair the organic chain's infamous "Whole Paycheck" image.